For most people, saving energy at home has become an everyday habit. But it is just as easy to save energy while driving your car, and save money at the same time. Fuel-efficient driving requires no technical changes in your car, nor are you expected to drive less comfortable or much longer. If you want to reduce the fuel consumption of your car by 20 to 30 %, you just have to change some of your driving habits. For more detailed information or if you are interested in learning from experienced driving instructors how to drive more economically, please contact the mobility advice centre Stuttgart, m-Punkt im i-Punkt, Königsstraße 1a, D-70173 Stuttgart, Phone: 0049-711-216-9000. 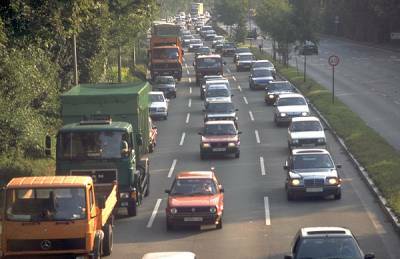 The city of Stuttgart has decided on a support programme, which ended in 2003.
your car and reduce the fuel consumption by 20 to 30 %.